You will no doubt come across an abundance of competitive listings when listing your home for sale on the property market. You will be in constant discussions with your selected real estate agent of how to ensure your home is a ‘stand out’ above the hundreds of listings available in your respected region. So here lies the important aspect of developing a suitable technique of differentiating your home from the rest. There will be a variety of options to consider when initially listing your home for sale online and some other traditional, yet common sense methods could also be utilised. Here are 5 little secrets to help your property listing stand out! When listing your home for sale on reputable websites (and there are many), you generally have a number of options to choose from regarding the listing features. Typical, however the more beneficial and more features you get generally determines the cost. If you want your listing to ‘stand out’, your best to choose the more prominent listing options available. Featured listings ensure your property retrieves at the top of first page search results every time. This feature will remain for the selected amount of time promised by the service provider. Therefore your listing will be seen first by everyone searching your specific region, attracting much more attention. Prior to having your home listed for sale online or through other traditional methods, have your home cleaned and tidied thoroughly. You could potentially hire a professional to ensure suitable cleaning. However if you decide to take on the task yourself, focus on some of the more attractive features of the home. You home will ‘stand out’ much more if it’s clean and more attractive to buyers. A picture paints a thousand words. That being said, this should be considered when in the process of listing your home for sale. Consider hiring a professional photographer to capture the best possible images, from all angles and aspects in your home. These photos will then be the initial viewings prospected buyers have of your home, both online and in real estate offices. Therefore the better and more appealing the photos provided, the more your home will ‘stand out’. Many people don’t like allocating their home as an exclusive listing to real estate agents. 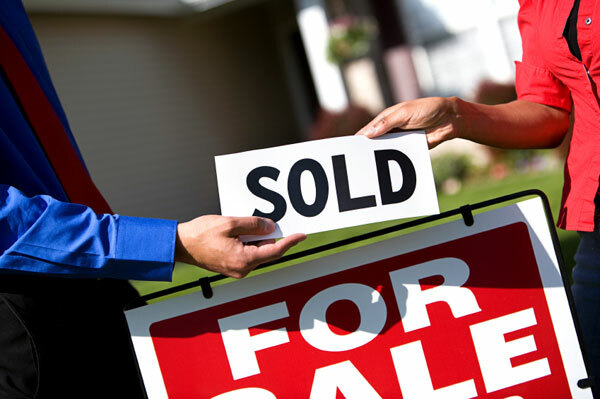 You may think that having numerous agents working on selling your home is an advantage, however this is not the case. If you provide your property exclusively to one agent, they’ll focus more on achieving the best results for you. Your home will only appear in one agent’s portfolio, opposed to several, and will avoid looking like spam. Think about it like this, if you saw the same home listed online with several real estate agents, would that look attractive or messy? If you tie up your property with one respected agent, your home will appear classier and potentially generate more interest. All agents will request you spend some money on advertising. This will apply with the ‘featured listing’ mentioned earlier. They’ll also be interested in traditional methods, such as flyers and mail-outs. Be prepared to spend a little money in order to make more with the highest possible sale price for your home. There are a variety of ways to have your home ‘stand out’ from the rest. Speak to your friends, family and respected real estate agents to discover ways to help you. In the meantime, if you are looking at future homes, you can begin your own research. If you live on the Gold Coast, for example, be sure to check out some of the Gold Coast display homes available. Or where ever you may be located, there’ll surely be some display homes you can visit. Written by Keith Hensley Keith runs a reputable home building business in Australia. He is passionate about new green building technologies and ways to reduce footprint in the building industry.